The redesign celebrates Daytons rich history of flight experiencing tributes to Orville and Wilbur Wrights first plane design. 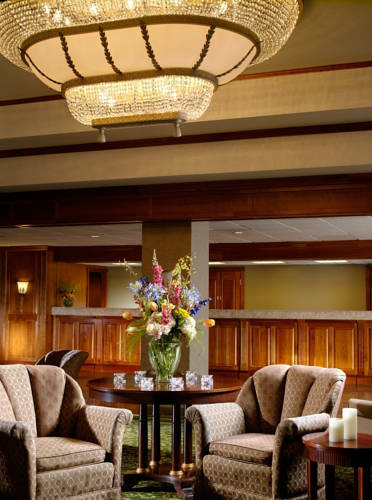 After visiting the area or attending a conference, grab your favorite coffee or appease your hunger with locally-inspired cuisine and brew at our on-site restaurant Dewberry 1850. During free time, discover the surrounding area of aviation by visiting the National Museum of the United States Air Force, Dayton Aviation Heritage National Historic Park and more. With 15,000 square feet of brilliant meeting space, we can host memorable corporate and social events, complete with professional planning and catering services. Let us exceed your travel expectations at Marriott University of Dayton. We offer 15,415 sq. ft. on site meeting facilities.